We must be willing to examine the biases and bigotries of the present, and see them with the same critical eyes we use to view humanity’s heinous crimes of the past. It is time we acknowledged that other animals are no more meant to be our possessions than are people with different colored skin, women, children, or any other living beings. What separates us, what makes us different, is as trivial as the shifting surface of our appearance. What connect us, what makes us equal, is as profound as the core reality of our shared sentience. 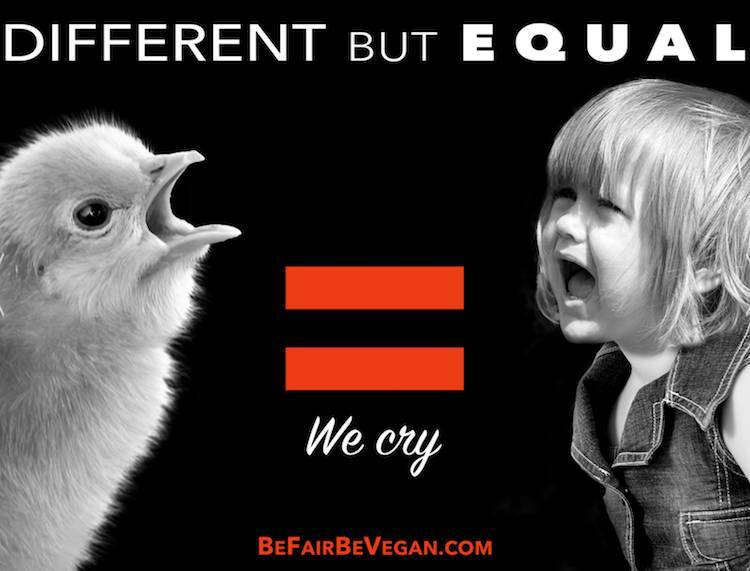 Every one of us has been conditioned by a highly speciesist society – a worldwide culture that is extremely prejudiced against all animals who are not human. Every one of us has the power to break free from this indoctrination. Most of us agree that inflicting unnecessary harm is unjustified – whether the victims are human or otherwise. Yet most people are willing to turn a blind eye to such harm when they themselves receive some kind of advantage from it – whether the benefits are in the form of food, possessions, vanity, or amusement. Violence against animals in the form of ‘agriculture,’ ‘research’ and even ‘entertainment,’ is accepted by mainstream society and its legal systems. As a result, the majority of people are unwilling to see this brutality for what it is, and to step outside of the conditioning that makes such atrocities possible. In today’s supposedly civilized society, non-human animals are treated as legal property just like human slaves, and their owners are authorized to subject them to many forms of barbaric cruelty, all in the name of profit, convenience or pleasure. Billions upon billions of sentient beings are the victims of our most extreme violence, and it is consumers around the world who create the demand for this, even though the majority of them would never dream of participating in such violence themselves. It is time we acknowledged that other animals are no more meant to be our possessions than are people with different colored skin, women, children, or any other living beings. They are individuals with feelings similar to ours, who value their lives, feel pain, fear death, and have a right to live free from oppression. Individuals all over the globe – simply by living as vegans – are demonstrating that there is no moral justification for the harm we inflict on animals. Becoming vegan is the logical response to understanding the fundamental truth that no sentient being – human or not — should be used solely as a means to the pleasure, comfort or convenience of someone else. 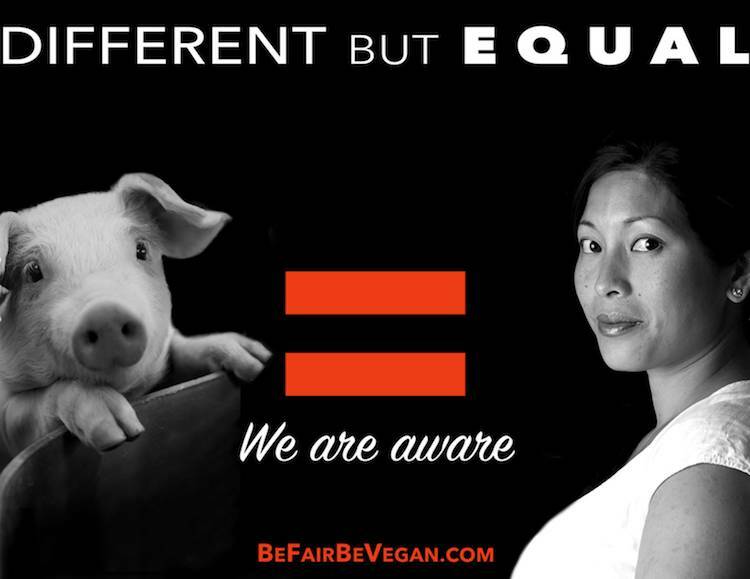 Being vegan is recognizing and admitting who we really are – it is the chance to become who we would be if no one had ever taught us that it’s okay to turn our backs on the needs and rights of our fellow animals, that it’s okay to ignore their pain if it leads to our pleasure. Living as a vegan is simply living according to the principles that most of us already claim as our own. Civilization is not a state of rest. Our society’s values and ethics are an evolving phenomenon, and the refinement of our culture is an ongoing process of learning to discern right from wrong and justice from injustice. What will humanity be in another 150 years, or 50, or even 5 for that matter? What wrongs do we currently condone that will make us shudder when we look back on them from a more enlightened future? Legally sanctioned violence against the innocent… Living beings bought and sold like inanimate objects… The fundamental rights of some sacrificed for the gratification of others… Whoever the victims are, these actions remain the marks of a yet-to-be civilized society, and they taint ours today just as they did every era of the past. Until we do, we will remain trapped by our ignorance and prejudice, locked in an age that is much darker than the one we just may be on the brink of stepping into. Is being vegan a sacrifice? Not at all. 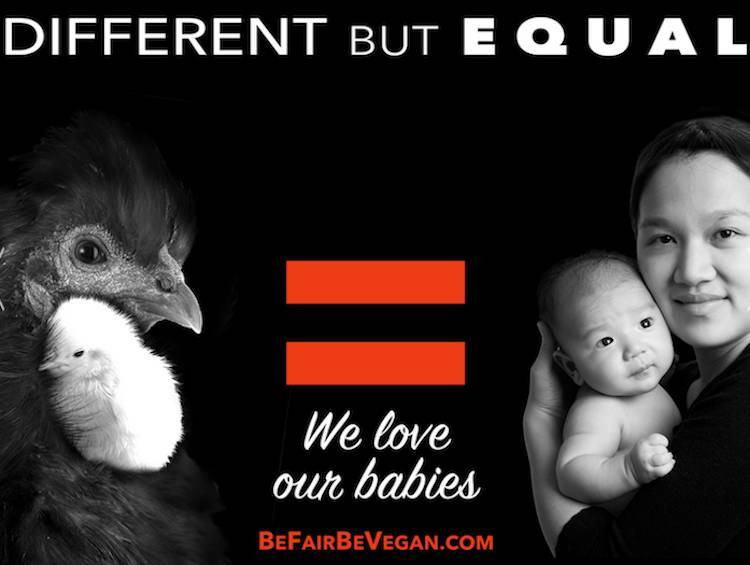 On the contrary, it is every non-vegan choice that sacrifices our own inherent goodness. Once you make the decision to live consistently with your values, the rewards – in the form of a healthier body, clearer mind, and more peaceful conscience – will be both profoundly apparent and a source of continuing joy.